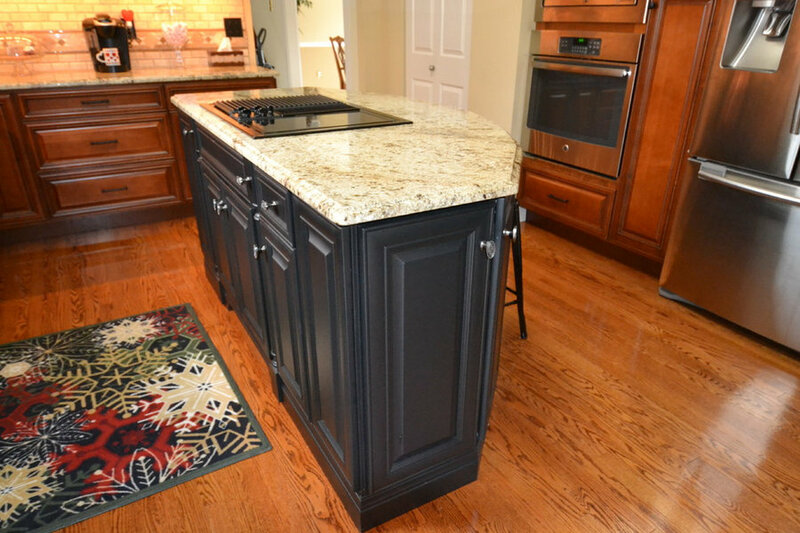 Stunning 2-tone kitchen features maple nutmeg stain on cabinets with an ebony glaze and black maple cabinets on the island. 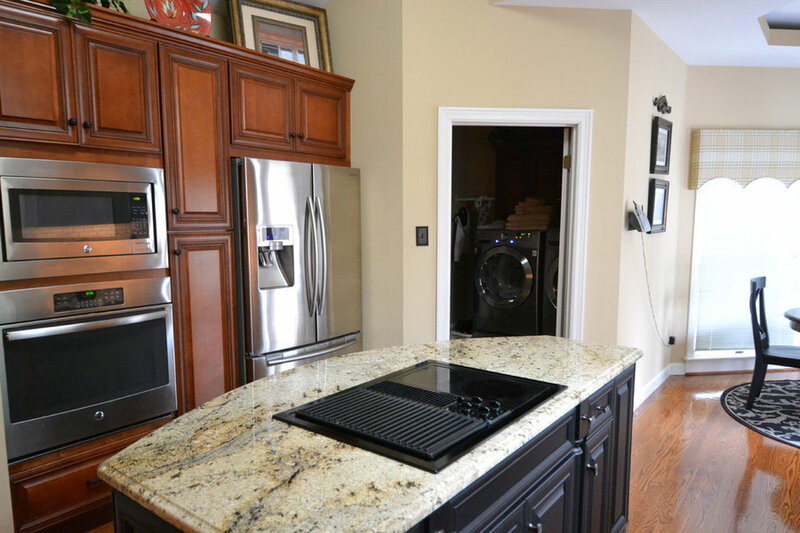 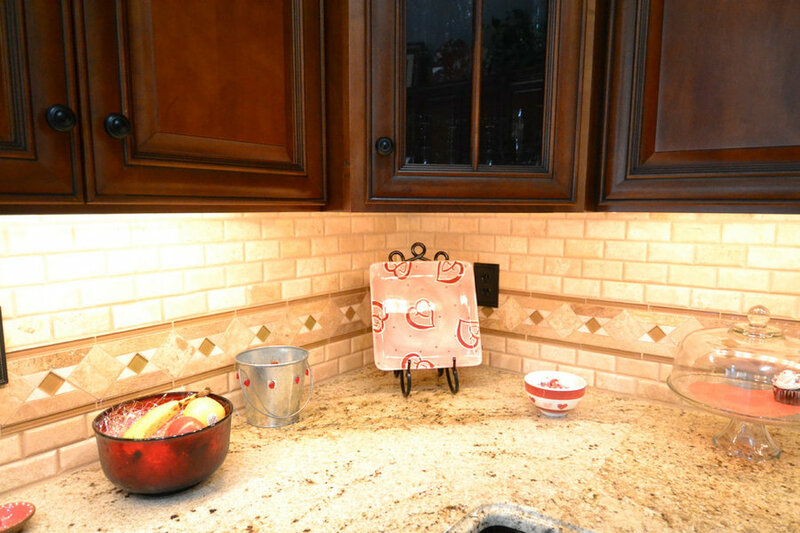 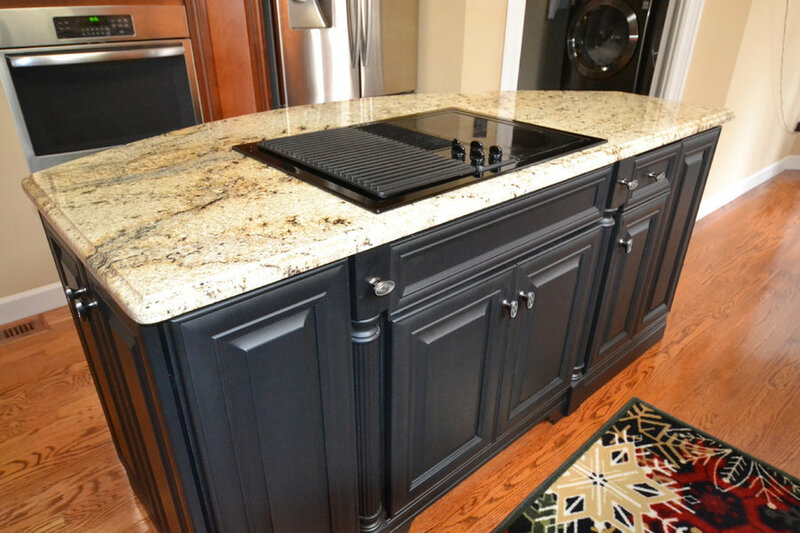 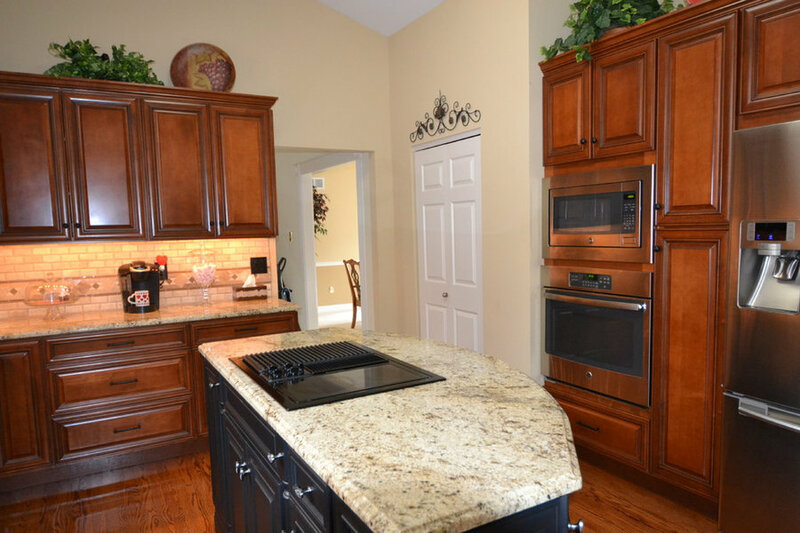 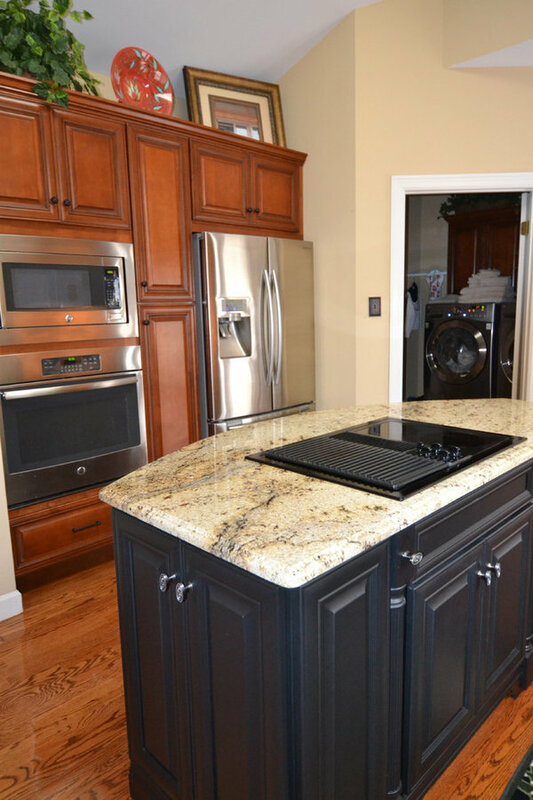 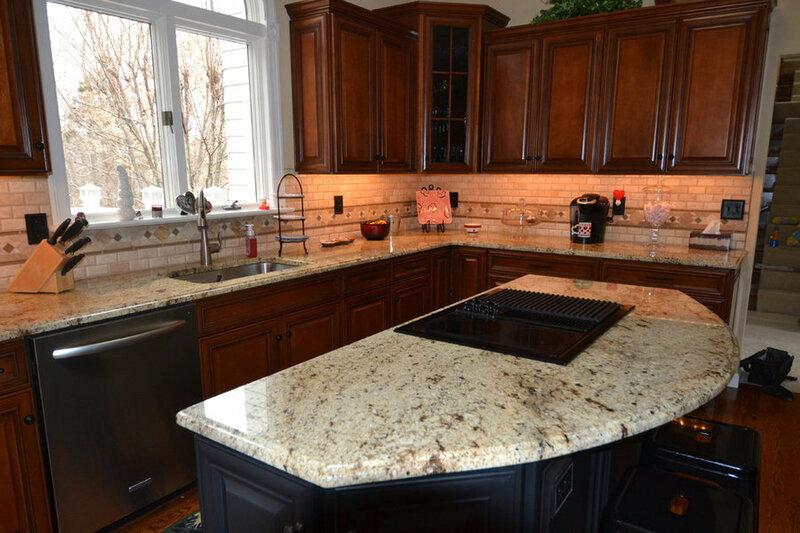 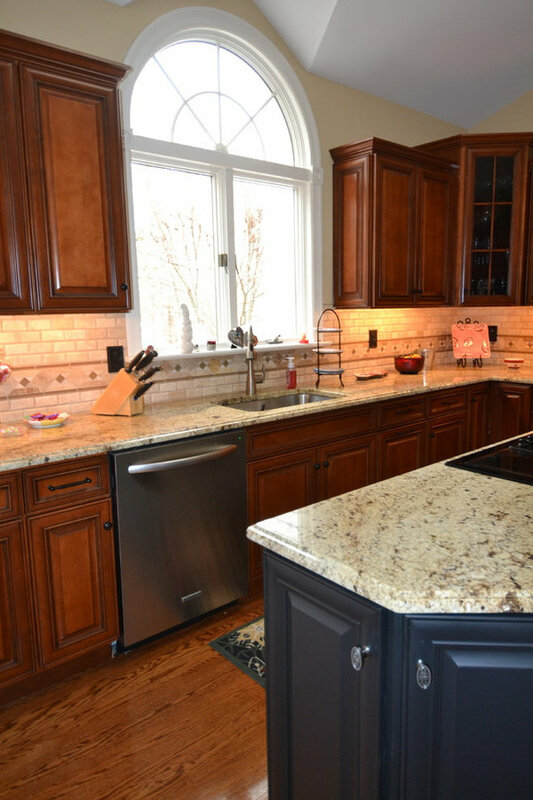 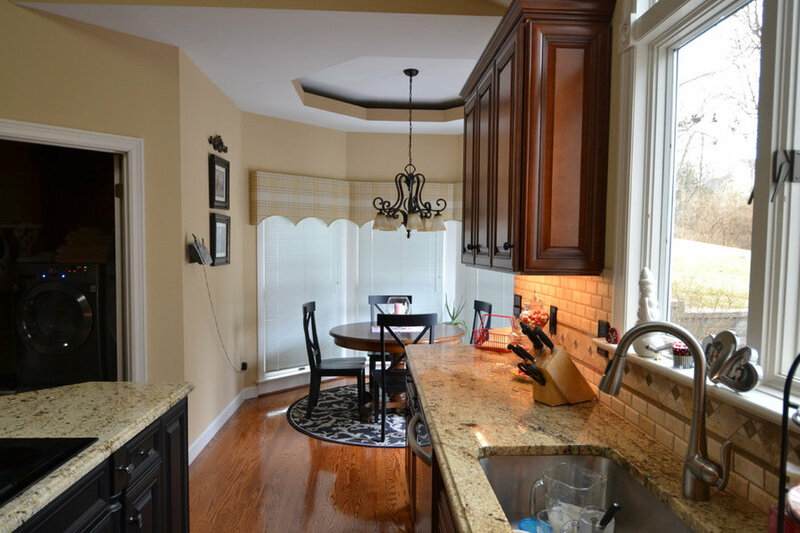 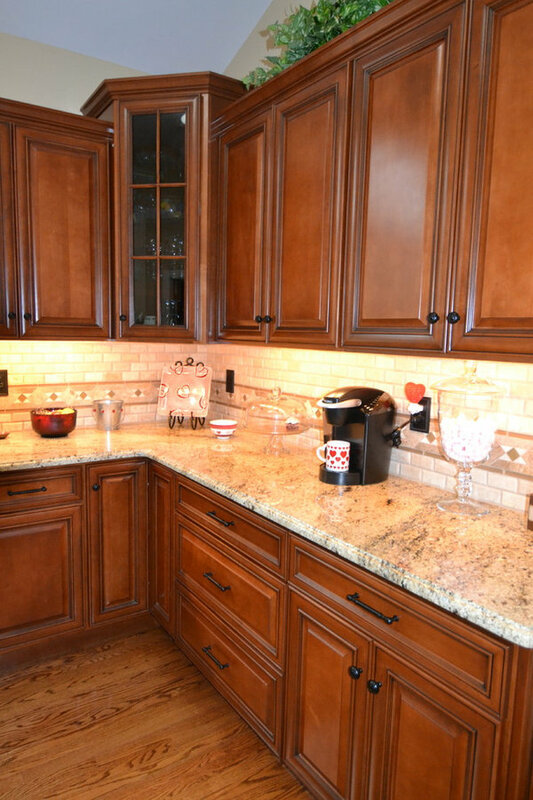 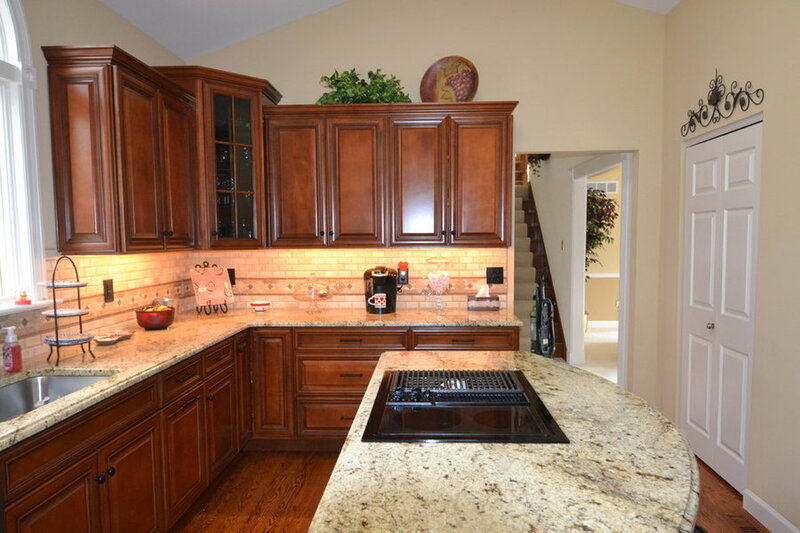 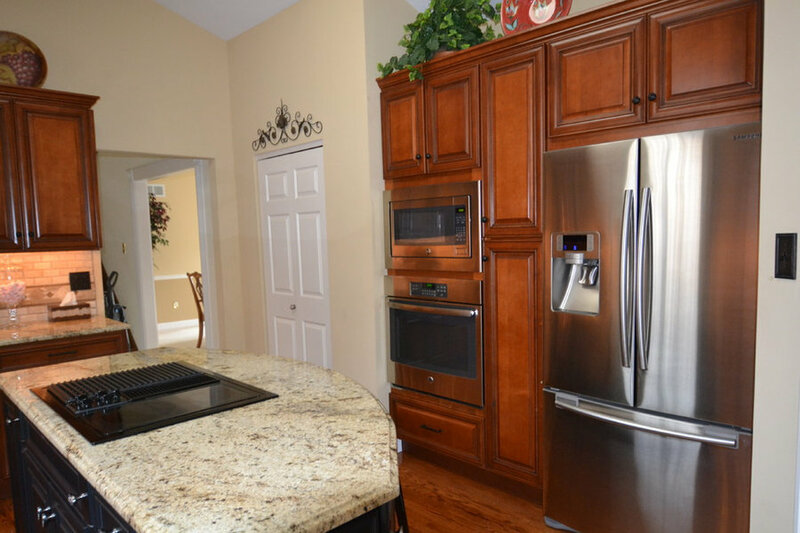 Venetian gold granite was used on the counters with a travertine tile backsplash. 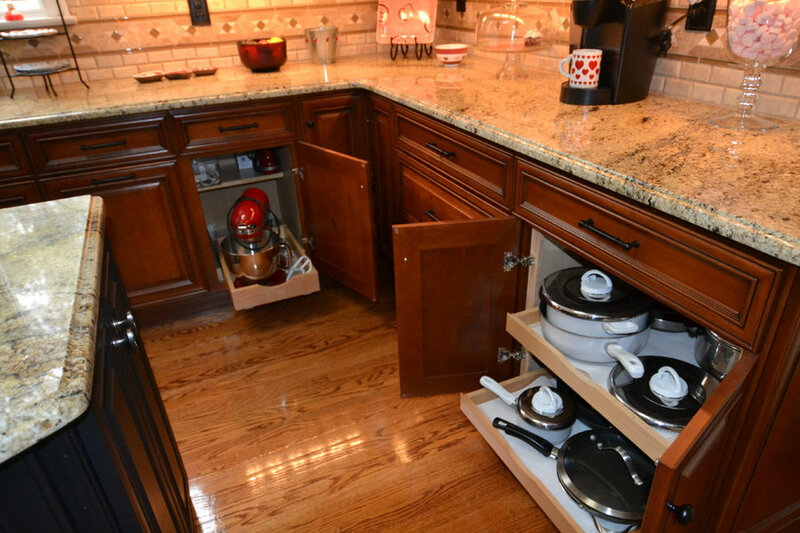 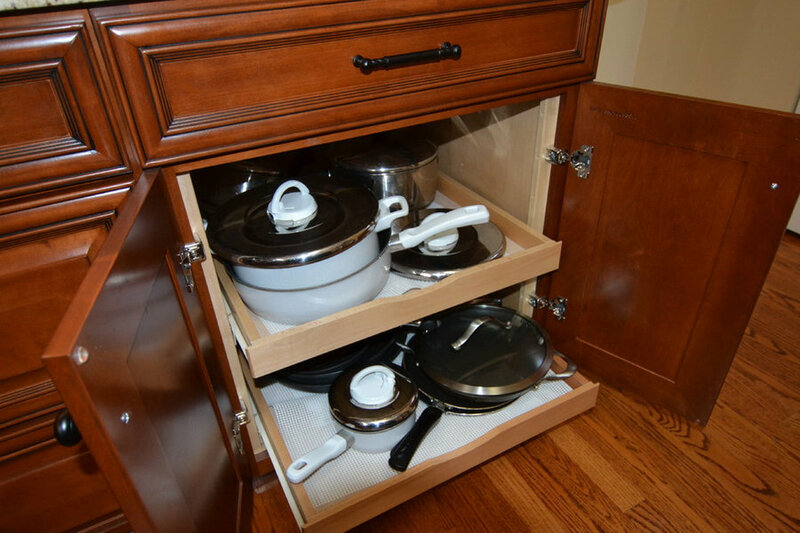 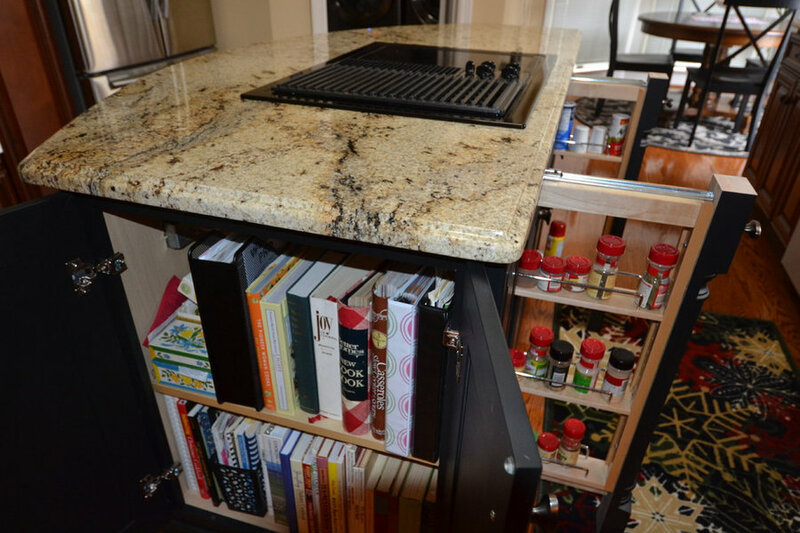 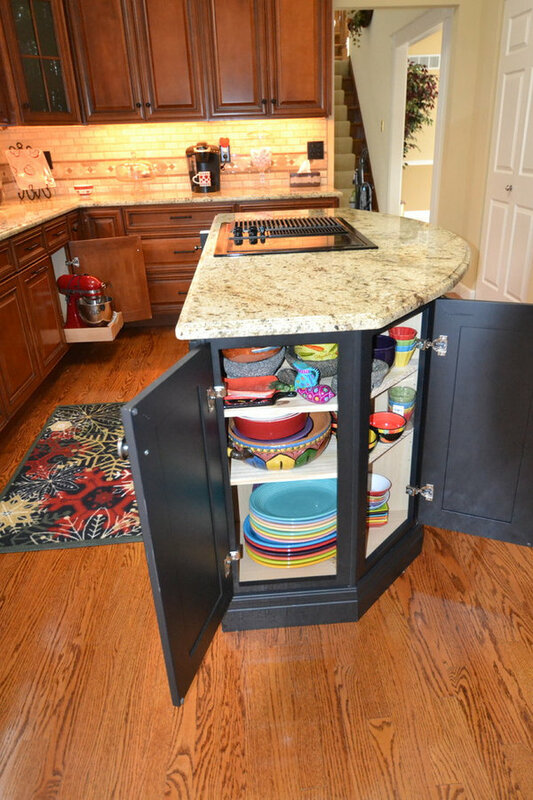 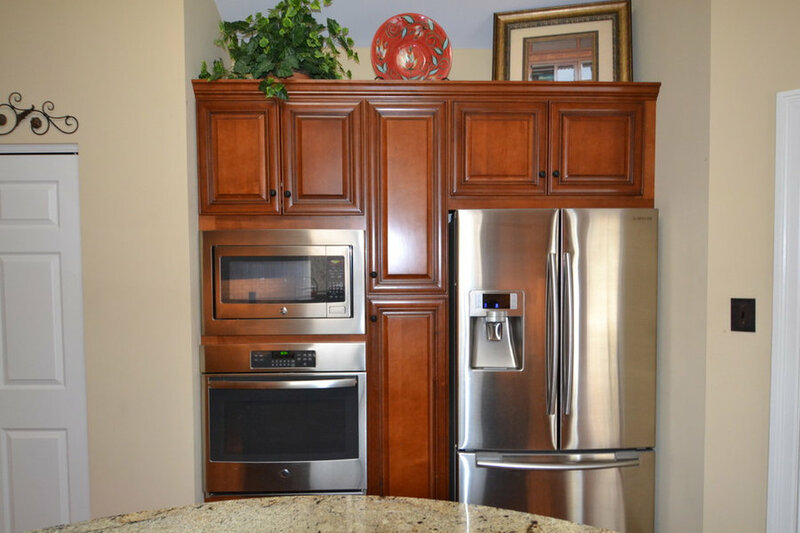 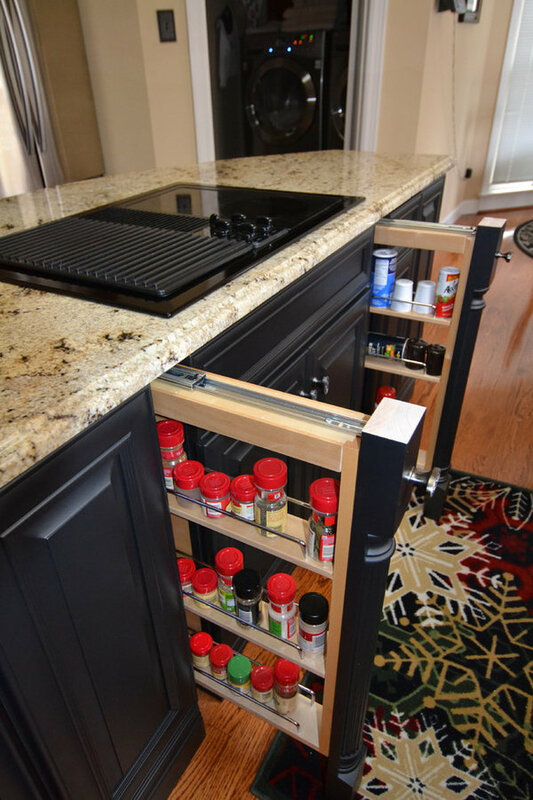 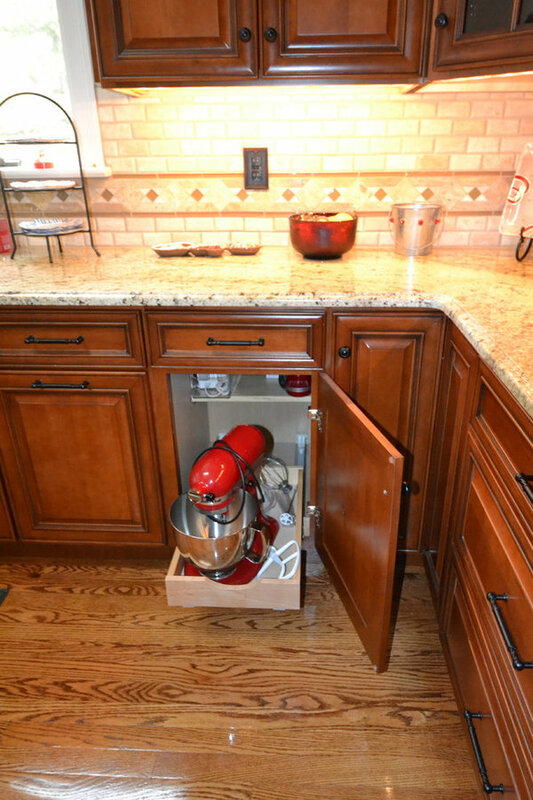 Custom pull-outs enhance the space and functionality.